A lot of people are typically not excited about tofu. And I get it. It’s a very neutral ingredient. It doesn’t impose any strong taste or texture to a dish. It’s fragile and gentle. Too gentle, maybe. For me though, those are exactly the same reasons why I love tofu. It’s sort of a blank slate, and you’re free to paint the flavors that you’re feeling or craving for. It has this subtle soy taste that leaves a fine trace of light creaminess. Easy. Flexible. To rouse this fragile ingredient, a mighty combination with tofu would be a mix of strong and hot spices. 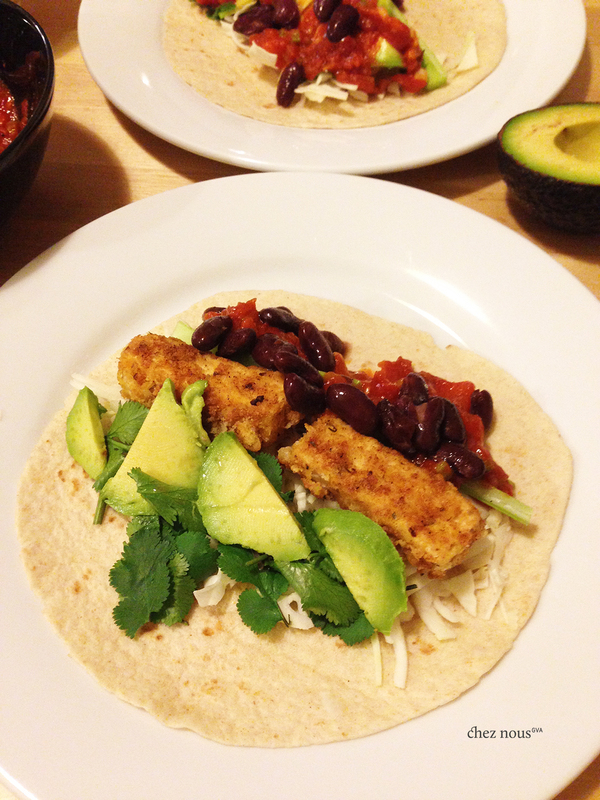 Cajun tofu tacos! 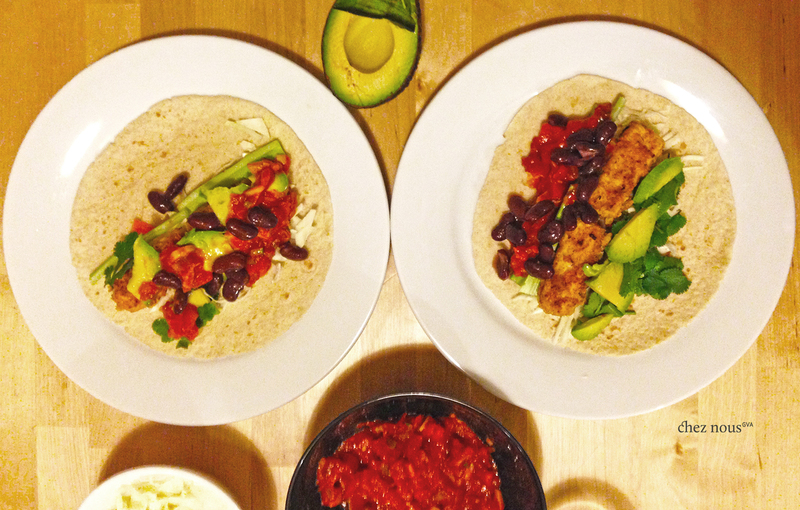 A light yet spicy meal which are perfect swaps to fish or chicken tacos. 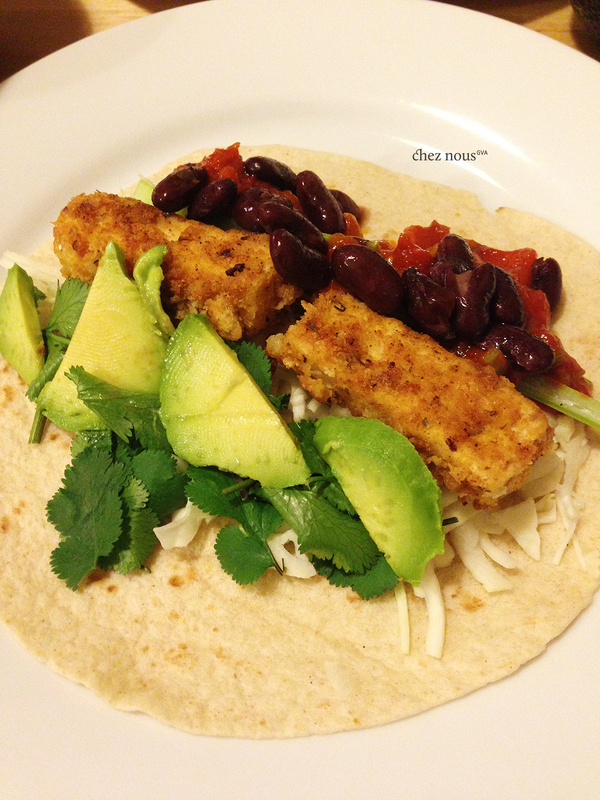 Ok, if you’re really not a tofu fan, simply use fish filet or chicken breast and follow the recipe below. Cajun goodness is always worth a try! Mix the flour and the spices together. Cut the tofu into long thick sticks. Dip in the beaten egg, and then roll over the flour-spice mixture covering it well. Fry the breaded tofu strips in a little bit of oil.